Kamakura, a quaint seaside city located just an hour away from Tokyo, is known for its numerous temples and shrines reflecting the rich history of pre-modern Japan. If you're looking for a getaway from the concrete jungles of Tokyo to experience traditional Japanese culture and traditions, Kamakura is the perfect place for your retreat! 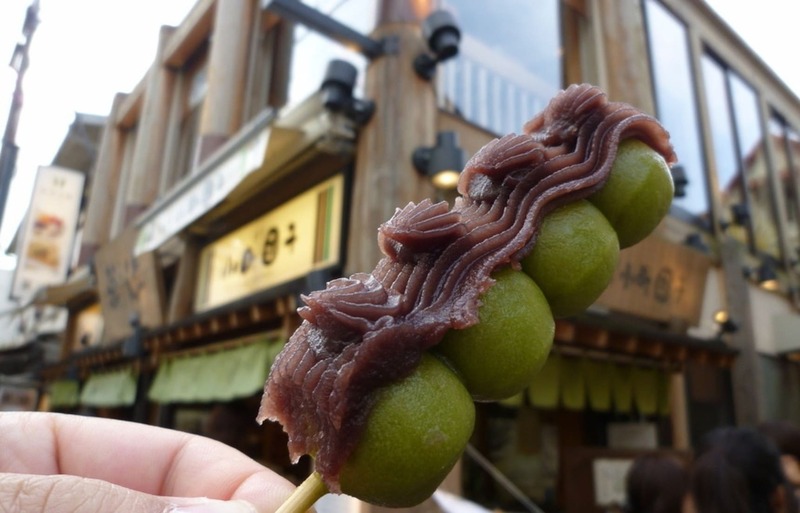 There’s one more reason why you’ll fall in love with Kamakura’s food. Sweet potato soft serve ice cream can only be found in Kamakura, and Imoyoshi Yakata is the place you want to go. For those unfamiliar with the taste of sweet potato, the vegetable gives a gentle, mellow taste. The sweet potato soft serve ice cream is natural and mild tasting, and it is a good alternative to good old green tea ice cream! The ice cream costs 400 JPY (4 USD), and you can choose to have a sweet potato croquette (150 JPY or 1.50 USD) to go with it. 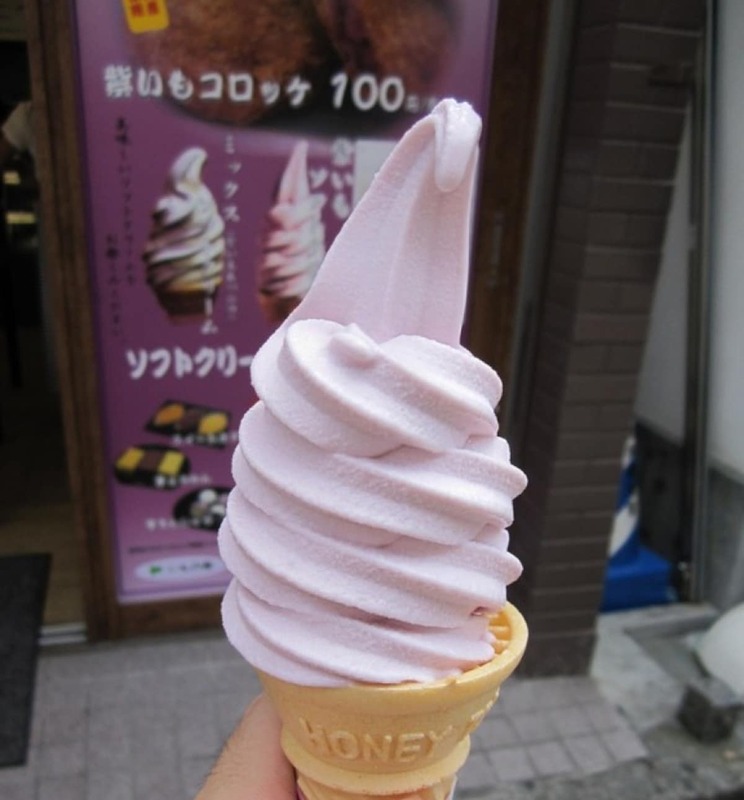 Located on the Komachi-dori steet, Imoyoshi Yakata’s sweet potato ice cream is a must-eat while touring Kamakura! Street food lovers will definitely love this – freshly fried and bread crumbed mushrooms on a stick. Princess Kinoko is a favourite local spot that specialises in a gourmet variety of mushrooms, all of which are homegrown and fried on the spot. The thick shitake mushrooms battered and fried in oil is simply an irresistible snack for street food lovers! Big mushrooms costs 300 JPY (3 USD), Medium at 250 JPY (2.50 USD) and Small ones at 200 JPY (2 USD). Savour this juicy and flavourful delight at Princess Kinoko! Takoyaki has evolved to have so many fillings today, but have you come across dried shirasu-filled takoyaki? Shirasu (Japanese anchovy) is a specialty of Kamakura as the city is located just next to the ocean, making it one of the best areas for fresh seafood. The takoyakis are crispy outside and super fluffy inside, perfect street food to eat while you walk! Six takoyakis cost just 450 JPY (4.50 USD) and they are definitely worth every yen!